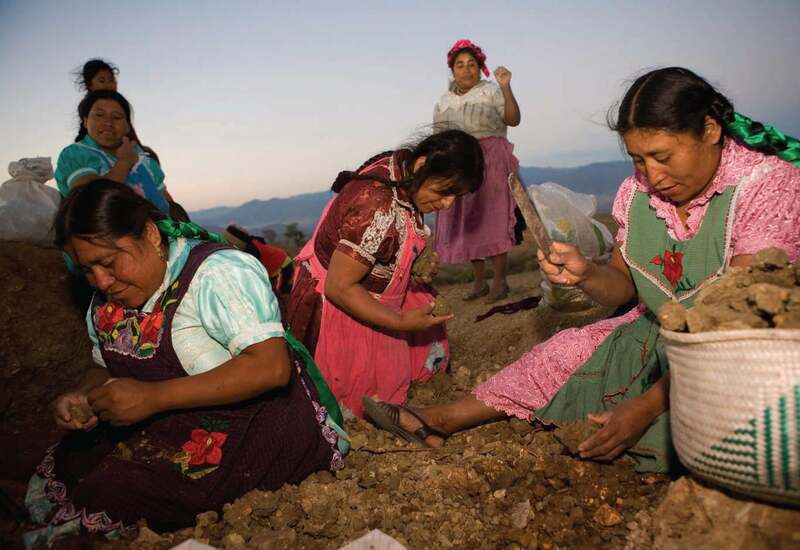 "No Man's Land: The Women of Mexico," an exhibition of color photographs by Dana Romanoff, explores the changing role of women left behind in rural towns of Oaxaca, Mexico, after their husbands and sons travel to the United States in search of work. Traditionally, the womanâ€™s role was in the home, performing domestic chores and caring for the children. With their husbands and sons away, the women are now in charge of their families and finances. Despite their husbandsâ€™ optimism, some men never return and leave the women as the sole breadwinners for their households. And thus, machismo is giving way to a new structure the women call â€œpura mujerâ€â€” purely women.